Have you ever been disappointed by SEO analysis tools that promised great results but didn’t deliver? If you have ever searched for ways to help your website’s SEO, then you know there are many devices that claim to offer proven results but don’t follow through. 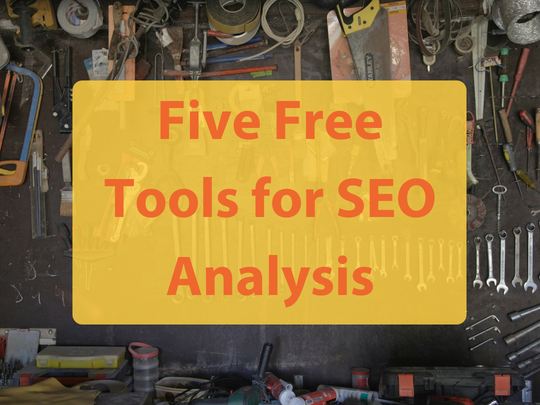 Here are five tools that you might have overlooked and that could help you in your SEO journey. The best part about these tools: they’re all free! 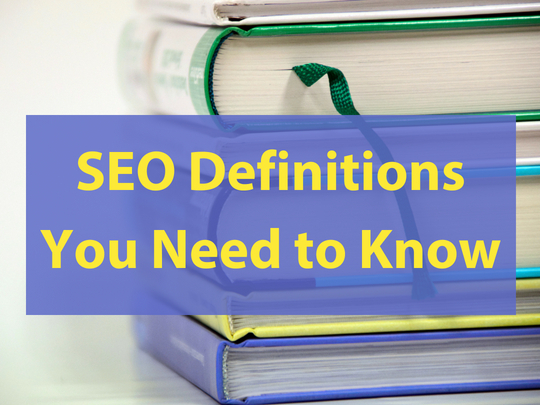 Before you jump right into the best SEO analysis tools, make sure you understand the definitions of SEO jargon. Even though people think they should use sources other than Google for analysis help, Google actually has a plethora of great resources to boost your SEO. Before you dig into the myriad of devices that Google offers, the best place to start is always with Google Analytics. It’s good to know the numbers of where your website is at before you make any changes. This way, you’ll be able to tangibly see if the tools you’re implementing are working. Once you’ve explored your analytics, Webmaster Tools is basically your homebase for website support and learning resources. Speed is an important factor for SEO, and PageSpeed Insights is a wonderful tool that will analyze how fast the pages on your website are loading. One of the great things about this tool is how easy and quick it is to use. HubSpot’s Website Grader literally examines your website and gives it a score. While no one likes to be graded, the mindset for using this tool is similar to why you should use Google Analytics: know where your website is at so you can track its progress. One of the hardest parts of website maintenance is keeping track of your links. Not only is it embarrassing when you find a link on your website that is corrupted, it’s bad for your SEO. There are many free resources available that will scan your website and check for broken links. Dead link checker and W3C Validators are fast, free and easy to use. An infographic is probably the most overlooked SEO tool that is popular and easily accessible. Because they make information easy to comprehend and appealing to look at, infographics work great for boosting your SEO. Infographics are sharable and linkable, which help with SEO. They are also great for easily bringing information about your company to smart phones. If you don’t naturally have a knack for creativity or design, not to worry! 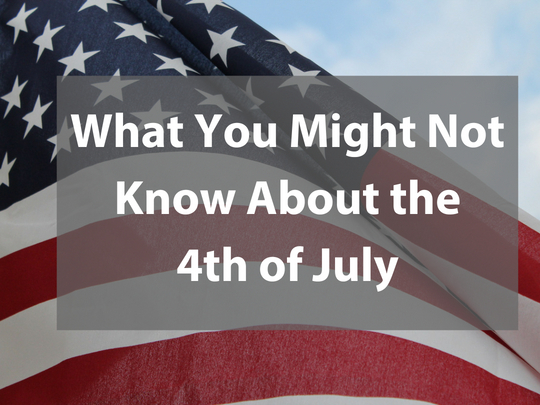 Infogram and Canva have many layouts to choose from and they make it very easy to customize. Nothing is better than getting advice personalized to you and your website. WebRevelation offers a full range of digital marketing optimization, and your over-the-phone consultation is totally free! When creating new websites, WebRevelation ensures that your online presence will make search engines happy. If you’re in the need for a brand new website that will increase your SEO, or if you simply need advice on your current website, contact us today. There’s nothing more frustrating than launching your new SEO campaign and seeing little to no results. If you are trying to navigate SEO on your own, or even if you hired professionals to help you out, it’s easy to get lost in the great wide web of Search Engine Optimization. Wherever you’re at on your SEO journey, it’s good to define your terms and understand what all of the jargon means. Take a look at this list of SEO-related words and their definitions so that you can stay informed in your search. SEO - Search Engine Optimization is all about helping search engines understand what your page is about so they can better determine where the website ranks on their SERPs (which is short for Search Engine Result Page). The general goal of this process is to increase traffic to your website by utilizing different practices and making sure your website doesn’t get buried deep in the SERPs. Keywords - The terms people use to search on web browsers. It’s important to identify these words in order to make sure SEO campaigns align with the popular keyword trends. Title Tags - Also known as meta tags, these are what users see as the title of the search results that they click on to get to a site. They also determine the name of the tab in their window. Title tags are not necessarily located on the page itself but within the coding, and they are not to be confused with h1 and h2 headings. Meta Descriptions - Just like title tags, meta descriptions are sentences within the coding that describe the page. Users see this description underneath the title tag when they see a website on their Google search. Alt Attributes - Also known as alt text, alt attributes are descriptions of images and graphics to be displayed to the user when the image cannot be properly delivered in the case of an error. Alt attributes are also shown to search engines so they can differentiate between images. Link Building - The practice of one domain linking within their site internally and externally to another domain in order to boost credibility and trust. The anchor text are the words the user can see that contain the link within them. Authority - The level of trust search engines grant a website for each user search that depend on other credible pages linking to them. Pagerank - This is a value between 0 and 1 given to web pages by Google’s algorithm based off of several different factors, such as authority and link building, that determines where web pages appear on the SERP. This is different from toolbar pageranks that are values between 0 and 10 and are given only during certain times throughout the year. If you didn’t find the word you were looking for, here is an extensive glossary of SEO terms that you can peruse. 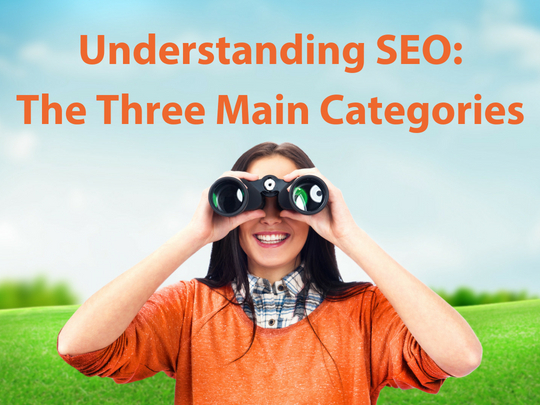 While SEO may seem overwhelming, it doesn’t have to be! At WebRevelation, we will improve your SEO to ultimately increase your traffic and your company’s profits. If you want to see results by using our unique approach to SEO, contact us today. Are your web pages not loading correctly? Are some of your websites not loading at all? While you might be in need of a more advanced network solution, a great way to troubleshoot your problems is by clearing your browser’s cache. If you have no idea what a cache is, not to worry! 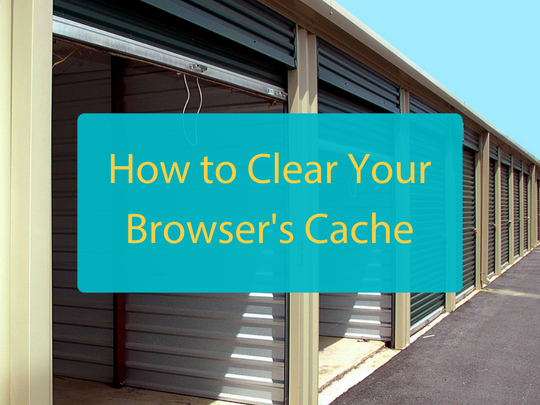 Keep reading to understand your browser’s cache, the importance of clearing it, and a step-by-step cache cleaning guide. What is your browser's cache? Each browser you use stores images and files that are used periodically in order to help load pages faster. For example, that WebRevelation logo you see at the top of the screen can be found on other pages of this website. Instead of having to download that image with each new page you click on, your browser probably has the image saved in its cache to be quickly retrieved as you explore the website. This tool is great for quick searching, but your browser’s cache might be harboring unnecessary files. Caches are different from cookies. A cookie is a file that the web browser creates and stores on the computer, such as usernames and passwords. These are usually user-specific information that you probably use on a semi-regular basis. Caches are also different from your browser’s history which is a record of the websites that you have been to and the order that you visited them. Why do you need to clear your cache? While the cache can speed up the time it takes for a website to load, it’s a good idea to clear it regularly. Old cached files might prevent you from viewing the most recent version of a web page. Cookies typically expire after a certain amount of time, or when you log out of a website, but the cache only clears out its data when it gets full. This means that you could have unwanted images and files from websites you visited once and might never visit again. Here is a step-by-step guide for clearing the caches on Chrome and Safari browsers. If you use a different browser, or if you’re reading from your mobile device, click here to learn how to clear your browser. 1. Click on the three vertical dots to the right of the search bar. 3. Click Clear Browser Data. 4. A window will pop up where you can select your desired time range and select Cached Images and Files. 1. Click the Develop tab in the menu bar. 2. If you don’t see this tab, click Safari, Preferences, Advanced and make sure “Show Develop menu in menu bar” button is checked. If you're more of a visual learner, watch this video tutorial that demonstrates how to clear the cache. See, that wasn’t so bad! If you are still experiencing trouble with your website, give us a call today. WebRevelation offers free consultations for your website problems and offers solutions catered just to you. For some business owners, establishing a consistent social media presence seems like an impossible task. How do social-media savvy companies stay up-to-date on all of their posts, while still running their business? The answer: they don’t. Well, not all on their own, at least. Hootsuite is a social media management tool that keeps track of your social media platforms, what you want to post, and will post it for you whenever you want. If you’re brand new to Hootsuite, or if you’ve had it for years but feel like you’re not getting your money’s worth, here are five basic steps to use this platform for its maximum potential. Step #1: Organize your Dashboard. If your dashboard gives you anxiety when you look at it, then it’s probably because you aren’t organizing your streams in a sensible way. Hootsuite provides totally customizable dashboards, so set up for what works best for you. For a clean look, order the tabs according to your social media platforms. Instead of trying to keep all of your networks on one tab, make multiple tabs for your accounts. Just click on Streams in the navigation menu and click the add tab button in the tabs row at the top. Once you have your new tab, you can add the respective social network. Step #2: Set up Bulk Message Uploads. Depending on your plan, you may qualify for Bulk Message Scheduling. This feature, located in the Publisher tab, allows you to upload a file from your computer with all of the posts you want to make, their captions, and when you want them posted. Doing this will save you a lot of time because, instead of having to compose each post individually, you can use just one file to schedule and upload them all at once. Do you find yourself searching for something to post and choosing a random time to post it? AutoSchedule is another helpful feature that schedules posts for your account based on your settings, currently existing content, and the ideal timing for your audience. When you compose a message and click on Scheduling, you’ll see the option to turn on AutoSchedule. Adjust the settings to your preferences and prepare for automatic posts customized to you. Step #4: Take a Course at Hootsuite Academy. As a resource for Hootsuite users, Hootsuite Academy offers training courses for those looking to develop themselves personally and professionally. There are free and paid courses available. 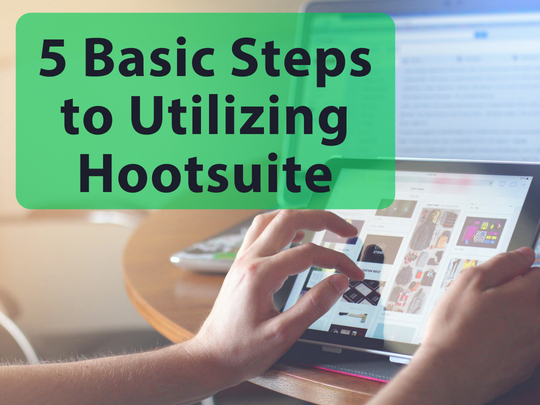 You can learn more about how to use the Hootsuite platform itself, or you could grow your knowledge of social media marketing. They’ve even partnered with Syracuse University to offer Advanced Social Media Strategy Certification. Step #5: Download the Hootsuite Mobile App. Already headed home from work and you can’t remember if you scheduled tomorrow’s posts? For iOS and Android devices, Hootsuite has an app that can do almost everything your desktop can: add new streams, post on multiple platforms at once, schedule posts for later, manage settings, respond to direct messages, and more. If you add a new item in the mobile app, it will automatically sync onto your desktop’s Hootsuite dashboard. Always remember: there’s no point in attracting customers through social media only to have your website turn them away. Here at WebRevelation, we recognize that social media is simply a means to get potential clients to your website and your product. If your social media game is strong but your website is suffering, or you need help with online marketing, contact us today for a free consultation.